After Hitler’s victory in the 1933 elections, Germany started rearming and expanding its army. Due to the treaty of Versailles, the German army wasn’t allowed to have any tanks when Hitler came to power. 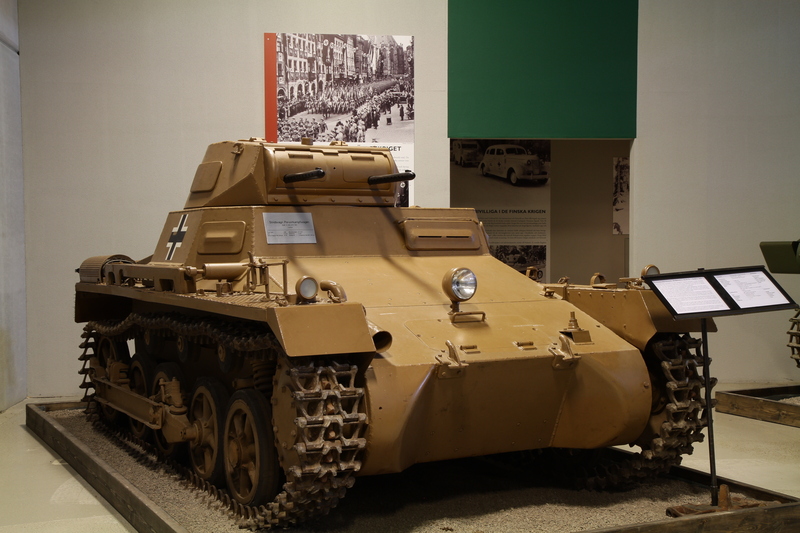 Officially called the Sd.Kfz.101 (Sonderkraftfahrzeug/Special-Purpose Vehicle), the Panzer I became the first mass-produced tank of the Wehrmacht. In 1933, after extensive trials, production of the Sd.Kfz.101 began. In 1936 it got its modern name, the Panzerkampfwagen I Ausführung A (Ausf.A). The first fifteen were delivered without turrets, for training purpose only. Mass-production of the proper military model began later. The Panzer I was the very first in a long line of tanks. The only other German tank at the time was the sluggish and massive Neubaufahrzeug. Its story is linked to the 1919 treaty of Versailles, which severely reduced the abilities of the German Army to rebuild a potent army. The total amount of soldiers allowed was reduced, so that only a police and defensive token force could be maintained. However, many officers saw in these limitations the potential to build a new small, but well-equipped and very well trained, professional army. Due to the Treaty of Versailles, Germany was forbidden from owning any kind of tanks. But, despite the fact that the few tanks built in 1917-18 never had the power to change the outcome of the Great War, the potential of this new weapon was well-understood. In 1930, Krupp was selected by Waffenpruefwesen 6 (the automotive and tank design office of the German army) to work on the design of a small light tracked tractor named Kleintraktor. It was to be equipped with a 20 mm (0.79 in) auto-cannon, powered by a 60 hp engine and weigh no more than 3000 kg. A year later, in 1931, Krupp sent a description of the Kleintraktor-Fahrgestell (chassis) to Wa.Prw.6. A description of the superstructure was promised after the construction of a wooden model. The Krupp Kleintraktor was described as a fast and maneuverable tracked vehicle that weighed about 3.5 tons and could achieve 45 km/h (28 mph). The hull was made of steel sheets welded together. It was armed with a 20 mm (0.79 in) auto-cannon and carried 500 rounds. As development proceeded, several prototypes were made, and faults were removed from the tank. The turret was redesigned to fit 2 machine guns and armor was increased. In 1933, the Panzer I was considered ready and an order was placed for 150 training tanks, with another 1000 combat-ready tanks being ordered the following year. Neither of these orders were fully delivered. This first model came into production in late 1934, and continued until early 1936. Around 800 were built, having several limitations. The armor was insufficient, being only 13 mm (0.51 in) at its thickest. There were problems with the early suspension, making the tank pitch backwards at high speeds. There were also concerns about the propulsion, overheating, the commander being both gunner and loader of the two machine guns, and communication going through old-fashion vocal tubes. With its two machine guns, light armor and speed, these machines were nothing more than training and scout tanks. Despite this, most of them fought in regular Panzer divisions alongside the improved Ausf.B until late 1941. The Ausf.B was an improved version of the first model. It appeared in 1936 and was built until 1938, with around 675 machines produced. The main difference was a longer chassis (by 40 cm) with one more bogie wheel, in order to accommodate a much more reliable and powerful water-cooled, six-cylinder Maybach NL 38 TR delivering 90 bhp, along with a new gearbox. The suspension was also largely improved. The weight rose to 5.8 tons, but neither the armament nor armor were modified. During the war, the ‘main’ version of the Panzer I was the Ausf.A. Soon, both Ausf.A and B served as basis for sub-versions and adaptations, such as the kleiner Panzerbefehlswagen, or light command tanks, which had their turret replaced by a larger superstructure. In 1940, several Panzer I Ausf.Bs were rearmed with the Czech 47 mm (1.85 in) gun, resulting in the Panzerjäger I tank hunter. Other were equipped the 15cm sIG and became the heavy artillery carrier 15 cm sIG 33 (Sf) auf Panzerkampfwagen I Ausf B, which was designed to destroy fortifications with its 150 mm (5.9 in) howitzer. The resulting tank had a very high profile, only partial crew protection, and both the chassis and propulsion were highly overloaded. Soon, it appeared that the Panzer I Ausf.A and B were obsolete. As priority was given to medium tanks, the Panzer I played less and less of a role. 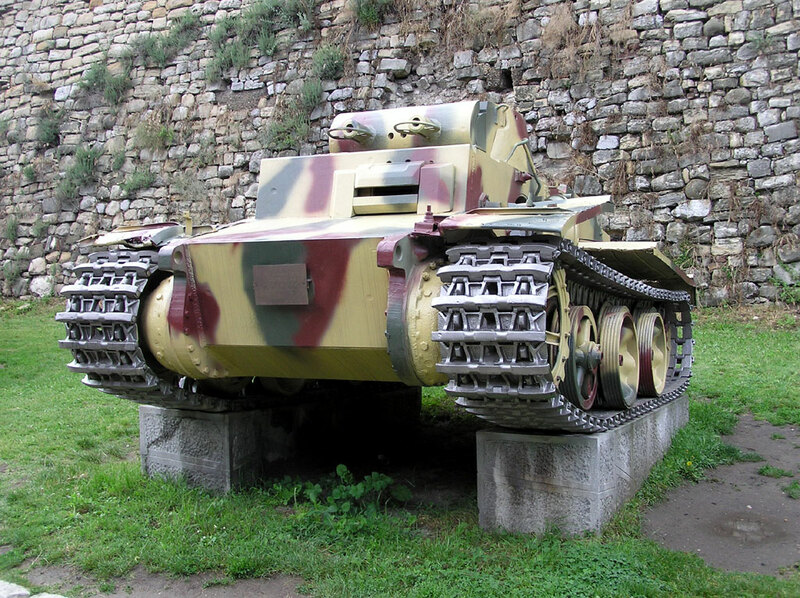 The Ausf.C was a completely revised version of the previous Panzers. The hull, suspensions, track system, turret, propulsion, armor and armament were all new. It was given 30 mm (1.18 in) of armor, torsion-bar suspension, interleaved road wheels and a 7.92 mm (0.31 in) EW 141 antitank rifle. These tanks were assigned to the LVIII Panzer Reserve Corps, which fought in France in 1944. The Ausf.C was built in limited numbers (40 standard and 6 prototypes) by Krauss-Maffei and Daimler-Benz. Despite the Ausf.D never being put into production, thirty Ausf.F tanks were built. The Ausf. F was considered a support tank, with 80 mm (3.14 in) of armor. It had a revised turret with two MG 34s and was powered by a 150 horsepower (110 kW) Maybach HL45 Otto engine. Weighing 18-21 tons, this was hardly a light tank by the standards of 1942. They were all assigned to the First Panzer Division, and fought at Kursk in 1943, where most were destroyed. After the Civil War broke out in 1936, the two opposing sides quickly found themselves supported by friendly countries, which desired to test their equipment and tactics. 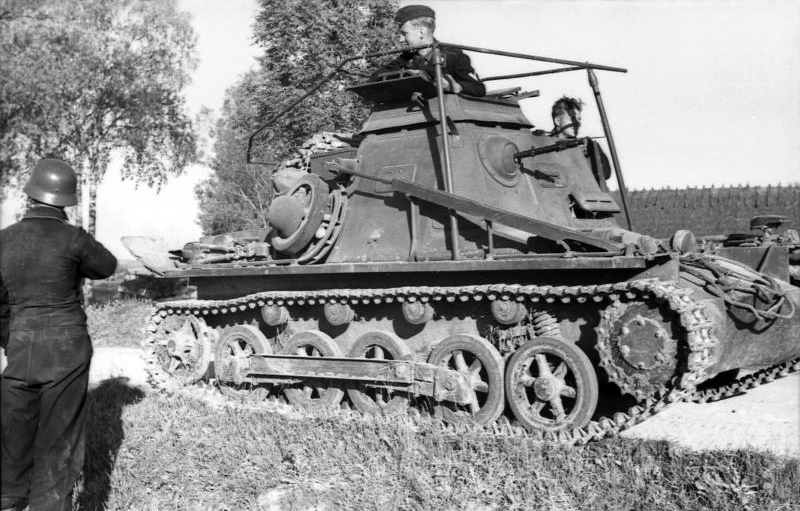 For obvious ideological reasons, the Soviet Union quickly chose to support the Republican Front and sent waves of T-26s, a Russian derivative of the Vickers 6-ton. On the other side, the Nationalist Forces were supported by Germany and Italy. Italy sent dozens of CV-33 tankettes, with Germany sending the then only tank available. 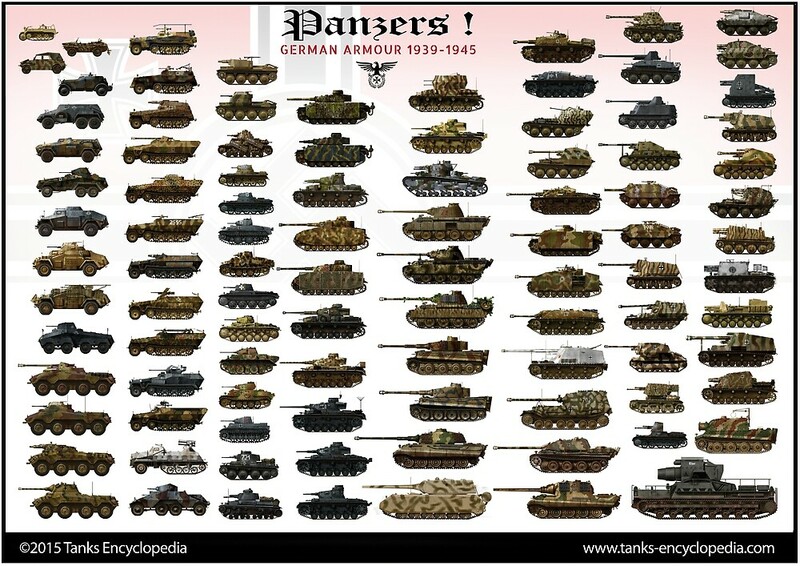 Approximately forty-five Panzer I Ausf.A tanks were sent, followed by seventy-seven Ausf.B tanks. Most of were delivered to the Gruppe Imker, the tank unit of the Condor Legion under Hugo Sperrle. The Spanish forces dubbed them “Negrillos”, due to their dark grey paint. Most were quickly painted in a new lighter scheme. The first engagement that the Panzer I took part in was the battle of Madrid. Here, the Nationalist forces managed to defeat the Republicans, despite the Panzer I being inferior to the T-26. Only at very short range and using AP rounds could the Russian tanks be taken out. Col. Wilhelm Ritter von Thoma even offered rewards for every captured T-26, so he could bolster his unit’s abilities. In August 1937, General Pallasar received a request from Franco to upgrade several Panzer Is with the 20 mm (0.79 in) Breda model 1935. Only four were converted at the Armament Factory of Seville in September 1937, and further orders were suspended due the large number of T-26 tanks available by then. The Panzer I remained in service with the Spanish until 1954, when it was replaced by the M47 Patton. Despite the fact that the Panzer I was conceived as a training tank, it was available in large quantities when the invasion of Poland started. They were used for scouting, spearheading assaults and supporting infantry. Speed, surprise and close aviation support proved efficient against the Polish and after just 5 weeks Poland fell. In Denmark and Norway, the Panzer I proved very useful due to the lack of good antitank weapons and served for infantry support and scouting. They were still largely available for the campaign of France, but couldn’t take on the vastly superior French tanks head-on. However, they were once again successful due to their speed, communication and tactical use. In Africa, the first Panzer Is were shipped in February 1941 to Tunis, becoming part of the 15th Panzer Division under Erwin Rommel’s command. As the war raged on, the Panzer I was soon replaced by the Panzer II in the Afrikakorps. They also took part in the Balkan campaign and in July 1941, 410 Panzer Is were part of the three army groups that participated in Operation Barbarossa. After several encounters with the Russian T-34s, KV-1s and the Russian weather, it became obvious that the Panzer I was completely obsolete and the last surviving units were converted to support vehicles or used for police duties and training. 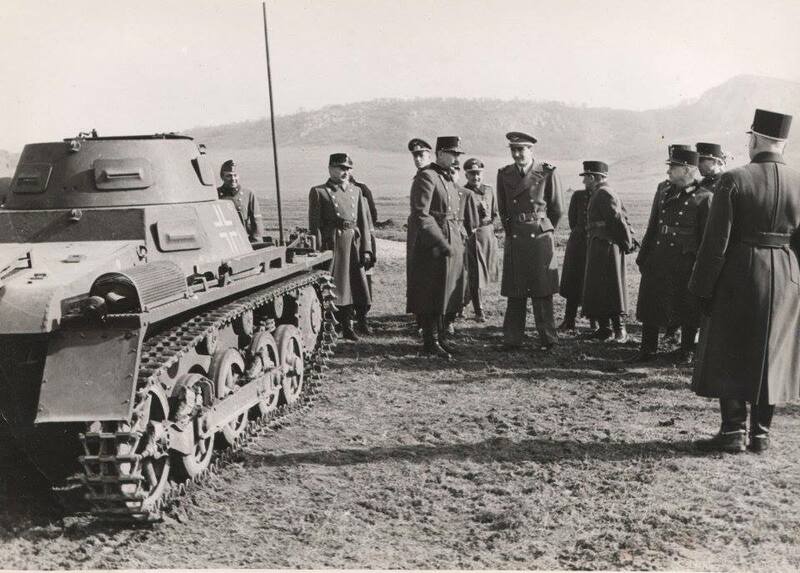 In 1942, Hungary received 14 Panzer I Ausf.Bs and command versions, which were used to fight the Russians in Ukraine. Other later versions, such as the Ausf.C and Ausf.F, saw service until the end of 1944, as well as special versions like the Panzerjäger I and the impressive sIG 33 auf Panzer I Ausf.B howitzer carrier. Some African Panzer Is were converted to Flammenwerfer auf Panzerkampfwagen I Ausf A (flamethrowers), which fought at Tobruk. Others served as munition carriers in Russia (Munitionsschlepper I Ausf.A ) and some were converted into AA batteries, like the Flakpanzer I, equipped with the 20 mm (0.79 in) Flak 38 L/112.5 gun. Ultimately 24 were built and fought in Ukraine and Stalingrad, where most were lost. Although it became obsolete quite fast, the Panzer I formed a large part of Germany’s armored forces and participated in all major campaigns between 1939 and 1941. The tank would soon be surpassed by better known tanks, such as the Panzer IV, Panther and Tiger. Nevertheless, the Panzer I’s contributions to Nazi Germany’s tank development was significant and formed the knowledge base for many different tanks. One of early production Panzer I Ausf.As in 1936, with the original tri-tone camouflage. Panzer I Ausf.A of the XVIth Corps in Poland, September 1939. 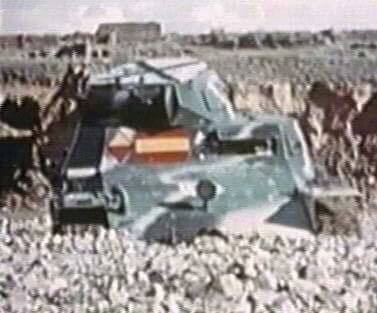 One of the very first Panzers that landed with the Afrika Korps, in January 1941. It’s a late production Ausf.A from the XXIst Panzerdivision. Notice the uniform beige low quality paint, already attacked by sand, and the large identifications numbers still over the original European feldgrau tone. Panzerkampfwagen I in Spain, Nationalist forces, Legion Condor, “El Negrillo”, June 1938. Panzer I Ausf.B of the IInd Panzerdivision, Belgium, May 1940. Panzerkampfwagen 1 Ausf. B of the IIIrd Corps, IVth Panzerdivision, Lillehammer, Norway, February 1940. Brown and feldgrau (usual cyan-grey livery) was common in operations in early 1940. Panzerkampfwagen I Ausf.C of the LVIII Panzer Reserve Corps, which fought in Normandy in 1944. With the help of the bocage and their high velocity armament, they gave good account of themselves. There is no photo evidence of a camouflage, and all indication seems to point that they were delivered with the usual Feldgrau paint. Panzerkampfwagen I Ausf.F of the 1st Panzerdivision at Kursk, July 1943. Being four times as heavy as the Ausf.A/B, they only shared the name with the rest of the Panzer I family. This late attempt to produce a “light” infantry support tank was not successful, and only thirty were built in all. Most of them were lost at Kursk. One is preserved at the Kubinka museum, another in Belgrade. A kleiner Panzerbefehlswagen or light command tank. Based on Ausf.B hulls, around 200 of these high profile, fast command tanks were built. They led Panzer Is in Poland, France, the Balkans, Africa and Russia. The last were still in use in 1943 for urban police duties in many European cities. The Panzerjäger I was based on the Ausf.B chassis and was the earliest German tank-hunter. The sIG 33 auf Panzer I Ausf.B was probably the most overloaded platform ever to carry a howitzer. Flakpanzer I, Flak Abteilung 614, Stalingrad sector, Ukraine, January 1942. XVII Panzer Div was formed in 1940, it could not, therefore, take part in Polish campaign 1939. Typo, you nailed it. It was the XVIth. Correct me if I’m wrong, but wasn’t the XVIth formed in 1940 too? Indeed, there has been a confusion between the 16th Panzer Division and the XVIth Corps. One other thing on that particular vehicle. Weren’t the crosses on the vehicles only standardized as black-and-white after the Polish campaign? You are correct again. I will notify our illustrator. Thank you for all this info, this article is very old and needs a serious re-do. i have heard of the Panzer I (Ausf B, and Panzerbefehlswagen) seeing service among the Hungarian army within the 1st Armored Division and saw combat in late 1942.
what would they have looked like? We have consulted with other persons knowledgeable in the field, and they have found that Hungary did indeed, buy a Panzer I Ausf.A in 1937 and 8 Panzer I Ausf.Bs in 1942. One of them was assigned to the 1st Cavalry Division. Well, probably it was China, not Japan I think. Panzer I A never achieved 50 km/h on road it was 37 km/h ( Leichte Panzer: In Action (Armour in Action by Uwe Feist 1974 Page 6. Ларин A. Танки Второй мировой войны 2013 Page 84. ) Both of authors suggest that the speed is 37 km/h. on road. You are correct, Panzer Tracts corroborates this! Actually, i did find a photo of a Pz I Ausf. C that clearly was camouflaged. I’m not sure where the photo originally came from as the link is dead, but the photo survives. Likely served at Normandy or after. Did the Panzer I carry a radio? Earlier today I discovered some photographs and articles online about a pz1 with a 7.5 cm gun mounted on it for the defense of Berlin. I dont know if more than one ever existed, but it was certainly interesting. You can easily find images online with a quick Google search. What is the basis of the camouflage scheme shown on the fourth example (Panzerkampfwagen I in Spain, Nationalist forces, Legion Condor, “El Negrillo”, June 1938)? I love that colour scheme, but cannot find anything to corroborate it. I’d have to ask the original author of the article for where he got the reference for it. In any case, it’s absolutely inaccurate. 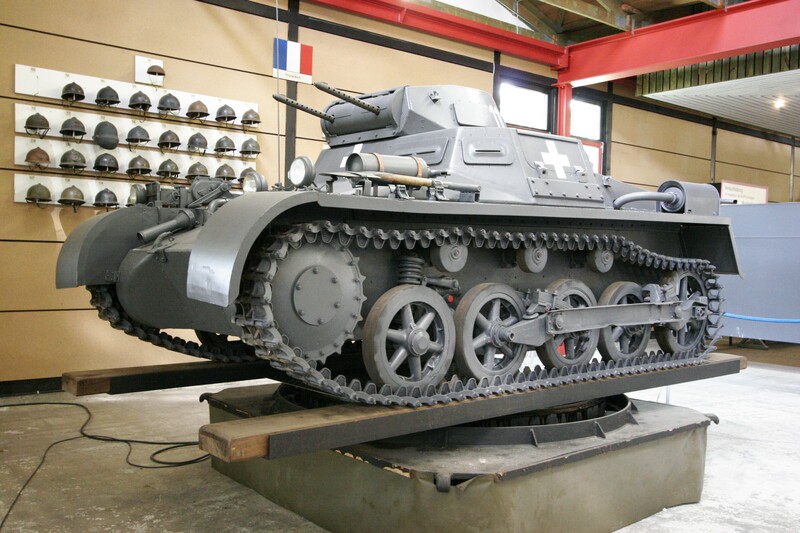 Panzergrau was never used on Panzer Is supplied to Spain. All of them would have been a three-tone Buntfarbenanstrich pattern of varying types. 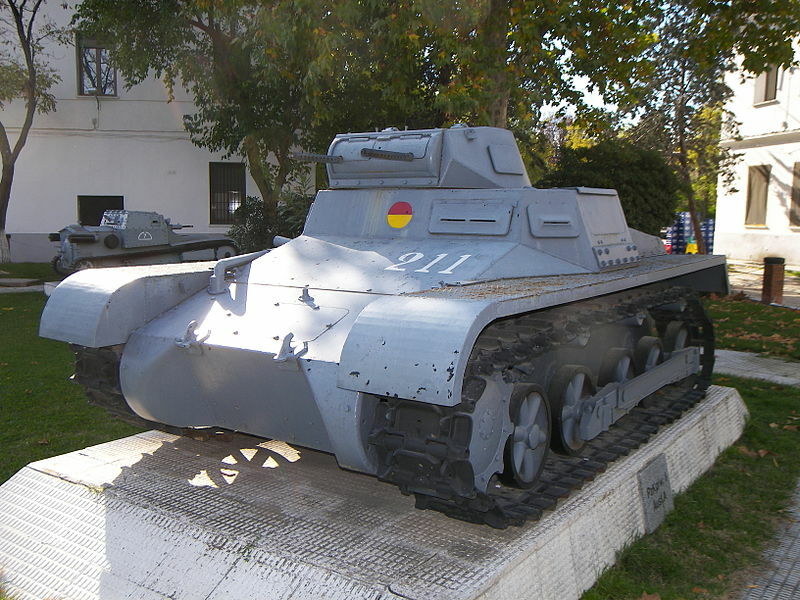 Some local Spanish variants of the type are noted, however, especially towards the end of the war and with modified vehicles. This is a still from colour footage of a late war pattern. I believe that the colours are slightly off in their tone due to the type of film. I also suspect that the Nationalists repainted them. To discuss colours and markings further, I’d encourage you to join my Facebook study group ‘Spanish Civil War Vehicles – Tanks, Armoured Cars, and Aircraft’. 15cm sIG 33 (sf) link when clicked on for a larger picture gives a 404 missing page error instead. Also, this vehicle has been mislabeled “Bison”. This nickname was in fact ascribed to the 15cm sIG 33 (sf) auf PzKpfw 38(t) Bison SdKfz 138. Awesome SITE!!! hey what was the use of the panzer 1 ausf.F? i saw it was an infantry support tank but what’s its function as a support tank?